Church Street, Saffron Walden. 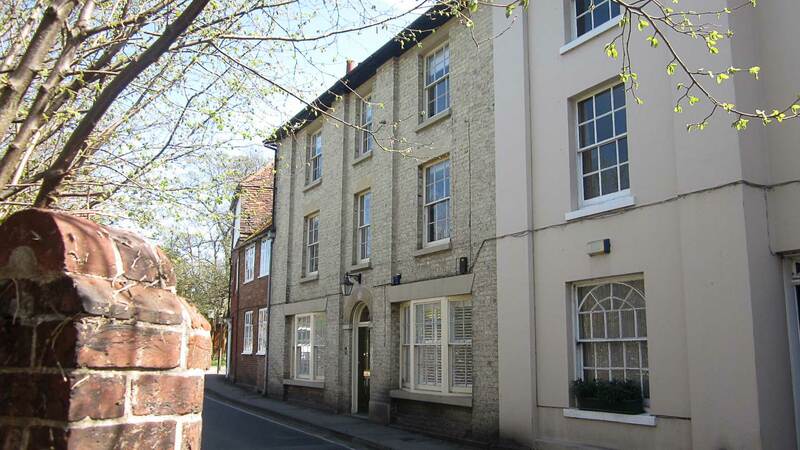 Conversion of Grade II Listed Building into ground floor offices with 2 flats above. 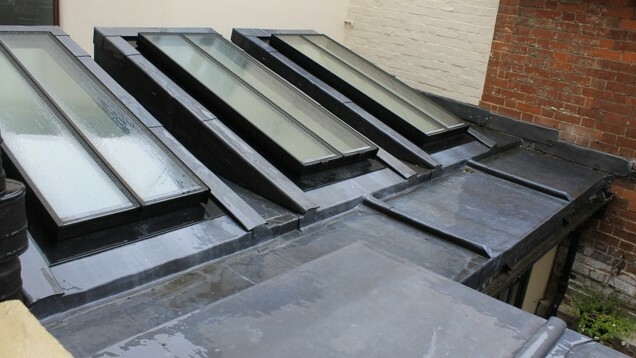 Work included extending into the rear courtyard with a lead clad flat roof structure incorporating rooflights (pictured). 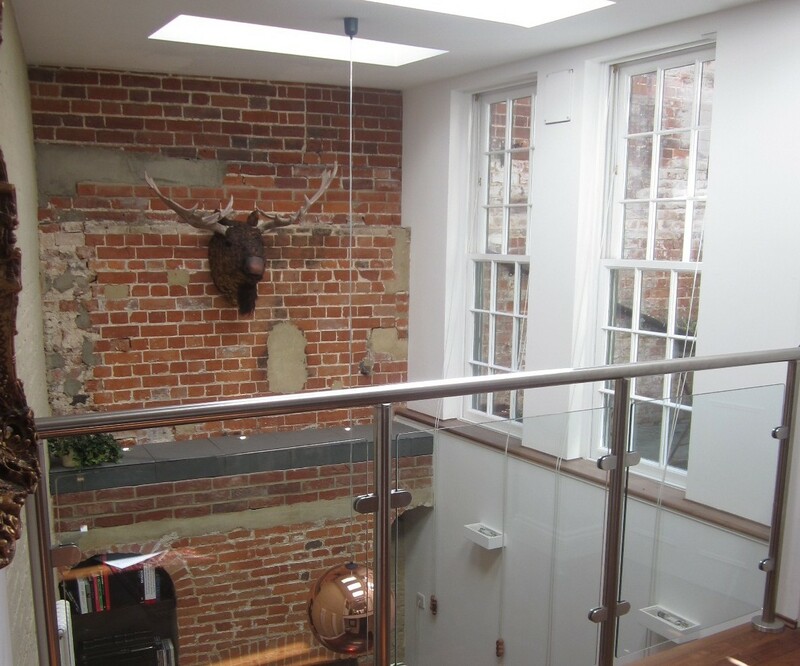 This created a double height space providing light into the basement (also pictured).